Earn $5.69 in Rewards credit (569 points) What's This? 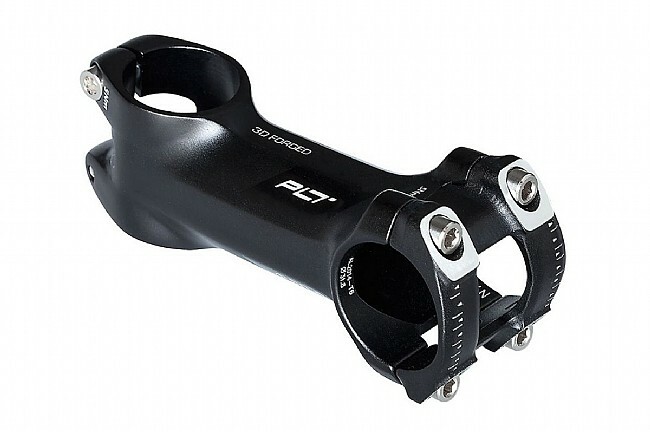 When you need a lightweight and reliable stem, PRO has just what you're after with their PLT Stem that's 3D-forged from AL-2014 aluminum. Hashmarks on the faceplate allow for precision bar adjustments, and the Headlock clamp system ensures the stem body and faceplate mate in perfect alignment every time. 10° rise. Claimed weight is 96 g (50 mm length). 31.8 mm clamp. Great looking stem, very light and stiff for the money, simple to install. Should look good on any bike.